Spring has arrived in the Bay area. The winter rains have subsided and our gardens will finally reap the benefits of a wet February. 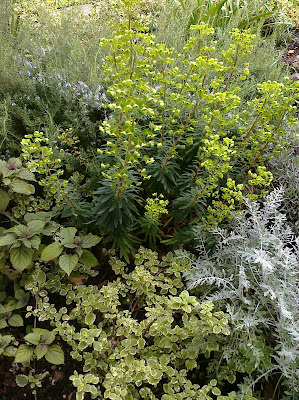 Here we see a Euphorbia in full bloom accompanied by low-growing Plectranthus 'zulu wonder' and variegated Plectranthus set off by the silver foliage of Dusty Miller. 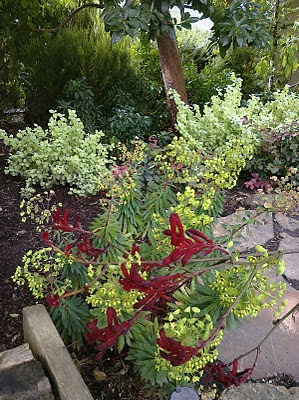 The long flower spike of Anagazoides - Kangaroo Paws - is reaching over to greet this Euphorbia. 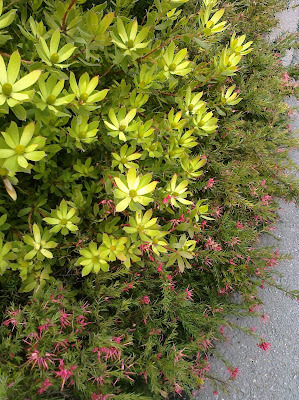 Leucadendron 'wilsons wonder' glows when paired with this greveillia. 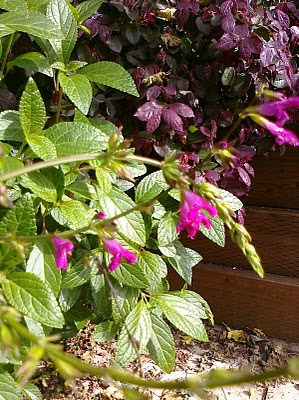 This Salvia chiapensis 'pops' when flanked by the dark foliage lorapetalum chinesis peeking out from its raised bed. 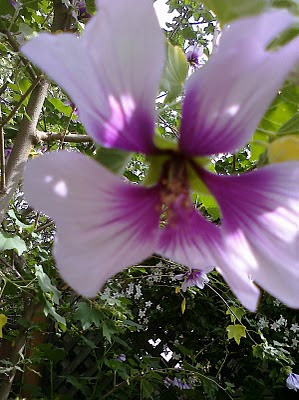 Lavatera's lavender blooms beckon us to the garden once more.